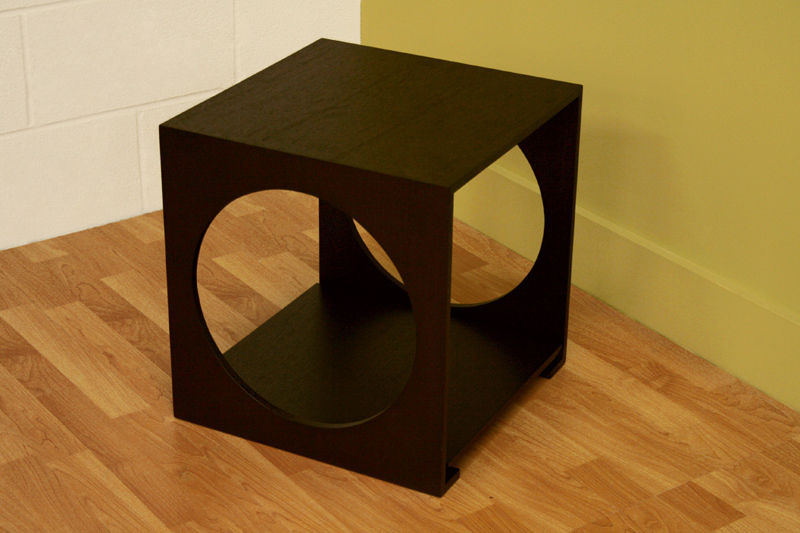 More on the Wholesale Interiors Round Cut Out Black Wood End Table (Black Oak) CT-002 below. 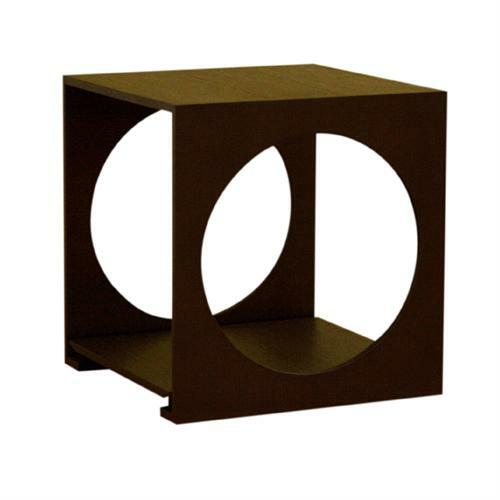 Classic simplicity and fine craftsmanship update any home decor. 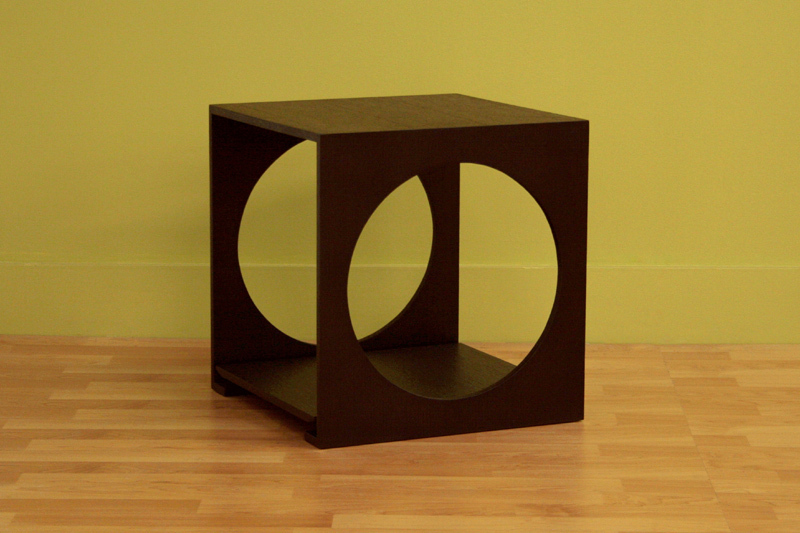 End table features durable oak wood construction. Versatile black oak color enriches any look.